Tree patterns for tattoos can be found in many cultures around the world. Whether you want to embrace nature, embody the characteristics of a particular tree or find a unique image for a tree of life tattoo, there are plenty of designs to choose from. Tree tattoos don't have to conform to one set of guidelines. 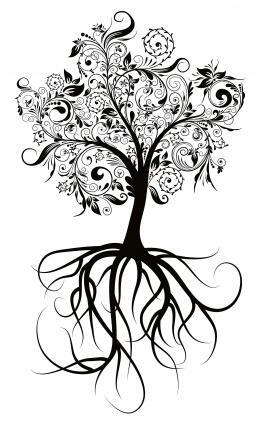 In fact, this type of tattoo has nearly as many designs as there are varieties of trees to choose from. When deciding on what tree patterns you want to consider, take some time to think about the image you want to portray. Thought to be the bridge between heaven and Earth, there are multiple cultures around the world which embrace the tree of life design. 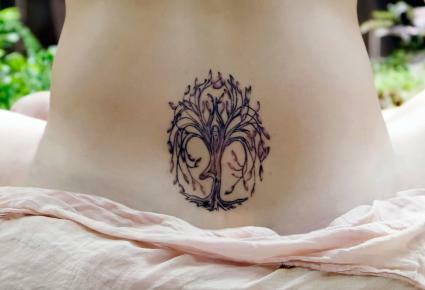 Circular or oval in shape, the tree of life tattoo can be placed on your lower back for grounding or on an arm, shoulder or calve for a more prominent place. 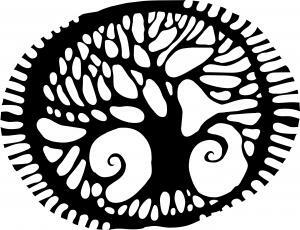 Choose any style of tree to embrace this design and the culture behind it. Tree patterns for tattoos don't have to embody the whole tree; sometimes a branch works better. 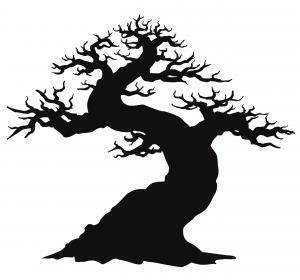 Create a haunting tattoo design of stark black and white branches without leaves or flowers against your skin. This highly stylized tattoo design can be used to create an art image, or to add ambiance to another tattoo. Consider using some flowering branches stretching across the shoulders or upper back for a more delicate tattoo. Cherry blossoms, apple blossoms or any small flowered tree branch can create a feminine design with a lot of interest. If you're looking for a back piece that uses a single design, a full tree stretching from the base of the spine to the shoulder blades fits the bill. Stretch the branches of the tree across your shoulders and down the tops of your arms; the tree pattern will move as you do, creating a life like image. No matter what type of tree tattoo you plan, be sure to make the most of the pattern itself. Tree branches can be sparse or full, bare, covered in leaves or flowering and they can hold other images inside the trunk or branches as well. There are a number of ways to get the most unique looking and personal tree images for your tattoo. Do you live in or near the woods and have a particular feeling toward a species of tree? If so, grab your camera and begin photographing some trees. Take pictures of single trees, overlapping branches, close ups of the trunk; anything that has a unique or different pattern. Take your favorite photos to the tattoo parlor and talk to the artist about creating a tree pattern tattoo out of the images. The result will be a unique image that's personal. Look into the mythology of any culture and you'll find trees. Tree spirits, trees of life, tree homes and a vast array of images can be found in cultures around the world. From the Taoist story of the tree that produces a peach once every thousand years to the Norse world tree, you'll find history, culture and symbolism perfect for forming the base of a tattoo. If the tree is only part of the design, and there are other components to the tattoo, let these components do the work for you. Butterflies on a tree branch may inspire you to look toward cherry blossoms for the perfect feminine design, while a full moon silhouette may call for stark oak branches; no matter what inspires you, talk to your tattoo artist to get the best design possible. Most tree tattoos tend toward realistic colors and details. No matter where you get your tree pattern from, make sure you go over the coloration with your artist to get the perfect look. Don't be afraid to lighten or darken natural colors for a more vivid design and know that no matter where you place your tree pattern, it's the perfect tattoo for you.